Who Needs an Arkansas Contractor License? According to a New York Times Article released in March 2018 is shaping up to be a tough year for first-time home buyers looking for houses because of a new set of impending problems. The new tax law and how it will affect housing is not yet clear but it’s likely that buying a home in 2018 will become more expensive, especially to those who live in states with higher taxes. Taxpayers used to be able to deduct their state and local taxes (including property taxes, state income taxes, and city income taxes) from their federal taxes, but are now capped at $10,000, and $5,000 for married taxpayers filing separately. It might make sense for taxpayers to take the standard deductions, which was raised, instead of itemizing and taking the state and local tax deduction. The mortgage interest deduction has also been lowered from the new tax law, previously mortgage holders could deduct mortgage on up to $1 million. Other tax changes affecting mortgages are likely to hurt first-time buyers or anyone looking to buy a home with cash because it cuts the deduction for mortgage insurance premiums—which is the monthly payment attached to most mortgages when the buyer makes less than the 20% down payment. Both the state and local tax deduction cap and the new mortgage interest deduction limit are set to expire in seven years. But it’s hard to predict what the state of the economy would be like and if will happen. According to Lawrence Yun, the Chief Economist and Senior Vice President for the National Association of Realtors, the entry and mid-priced levels of the market are experiencing low inventory problems around the country. As the population has grown and the building has been under historical records the last decade, it compounds the problem. Whatever is out there right now for the entry and mid-level markets is more expensive. In many aspects the economy is still in the “hangover phase” of the financial crisis and financing a new home continues to be tight. Many borrowers feel pressure at the closing table when the lender is looking for reasons to not lend up until that point. Many first-time homebuyers and current homeowners think they will have trouble getting a new mortgage if they want to move and decide not to sell-upsize-downsize, keeping homes off the market. Analysts expect rising interest rates to reduce affordability in the short-term but it may ease credit conditions in the long-term. 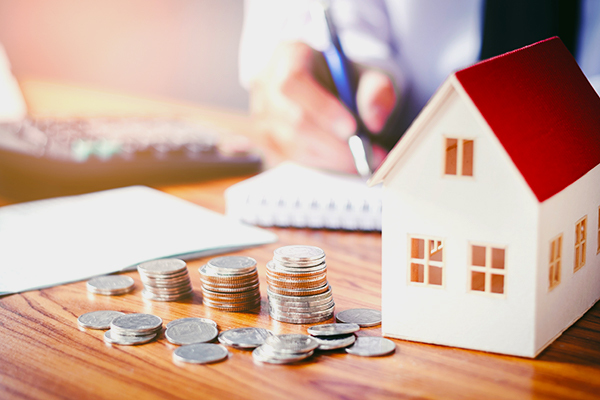 Interest rates are currently at 4.53% for a 30-year-fixed rate mortgage per Bankrate, which is still relatively low, giving lenders not much of an incentive to lend. When interest rates are higher, it gives banks more of a spread between lower rates at which the banks borrow and higher rates where they lend money to consumers. DO YOU NEED TO RENEW YOUR REAL ESTATE LICENSE? We provide state-approved online video courses for license renewal. This entry was posted in Real Estate and tagged Real Estate Market.